THE CHARMING OLDER HOME YOU'VE BEEN WAITING FOR! 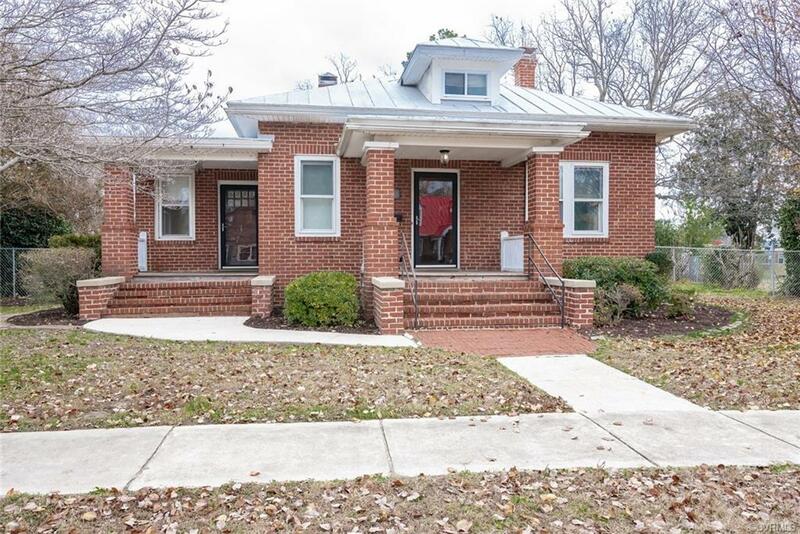 This brick beauty is full of modern convenience and 1920's charm. It's polished up and ready for new occupants and new memories to be created. Gleaming hardwood floors are the first thing you notice when you walk into the open concept Living Room/Dining Room. To the left, with it's own separate entrance and porch, is a Sun Room that's bathed in light. (Legend says it used to be a barbershop.) To the right, there are 3 bedrooms and a full bath with tub & shower. The center bedroom was recently used as a playroom. The kitchen was renovated top-to-bottom in 2006 with custom cabinets, recessed ceiling and under-cabinet lighting. LVP flooring was installed NEW this year. At the rear, is a sunken Family Room with lots of windows and sliding glass doors that open to a covered deck. A 550-sf Master Suite is upstairs, complete with a half-bath and FOUR closets! The partial basement also has a half bath, laundry facilities including a vintage double sink, and a workshop or crafting area. Dual-zoned heating & air. Newly painted and sealed metal roof. Completely fenced back yard. Oversized 1-car garage (built 2017) offers lots of storage space. Directions: From The Boulevard, Turn On To Lafayette Ave. House Will Be On The Right.